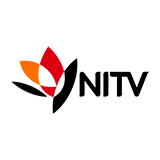 Utopia was broadcast on ABC1 at Thursday 11 April 2019, 20:30. Utopia is a British conspiracy thriller and action drama series written for television by Dennis Kelly, who also wrote the BBC Three sitcom Pulling and Matilda the Musical. The series is about a group of people who, through a series of events, end up with a manuscript called The Utopia Experiments which supposedly contains predictions of the worst disasters of the last century. An obscure organisation called The Network is also desperately after the same manuscript, though. 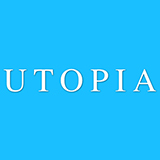 Utopia features an abundance of British acting talent including Fiona O-Shaughnessy (Nina Forever, The Living and The Dead) as Jessica Hyde, Alexandra Roach (Anna Karenina, No Offence) as Becky, and Nathan Stewart-Jarrett (Misfits, Houdini and Doyle) as Ian. The show has also won several awards, including an International Emmy for Best Drama Series and a four RTS Craft & Design Awards.